Did you just invest a few thousand dollars in purchasing a brand new easy to use CRM software system, only to find that it does not solve the pain points and aches that are holding your business back? Well if it is so, we can assure that you are not alone. This has happened several times to many businesses big and small- nevertheless, it does not have to be so all the time. Why Does Even Easy To Use CRM Implementations Fail? It may be a flashy interface, new gamification features, and a lot more functionalities that you never knew you wanted, but does not actually offer the features you need on a regular basis to run your business. Therefore, while choosing your easy to use CRM software , you need to work with a plan. Find out what are the business problems you are planning to solve, know your goals, and always make sure that they are measurable, before choosing your easy to use CRM system that can address to those unique pain points and needs. You have chosen an easy to use CRM software, that exceeds what your organization can afford. Therefore, while the benefits of using a CRM solution for your business can always increase your sales. However, it takes a longer time to build up those crucial customer relationships. Therefore, an easy to use but at the same instance, expensive CRM software can bring your business to a halt even before your sales start rolling in and eat away your profits. If you know what is CRM , always remember that this is a CRM system, which is just a tool and can never be a magic pill. Successful easy to use CRM implementations depends a lot on your employee’s eagerness to learn how to use the CRM software, keep all the records up to data in the CRM database, and your every employee’s commitment towards this customer-centric approach to the business. Hence, set reasonable goals, and thereafter work with determination to exceed them. This will not only keep your team’s morale high but also help your business to grow at a steady pace. After investing money and time on an easy to use CRM implementation, some entrepreneurs may get tempted to discard that their employees were using beforehand and push the employees to use the new CRM system. Nevertheless, whatever that you do, always understand that too much change in a small span of time can leave your team confused, and thereby make your customer service suffer the dire consequences. 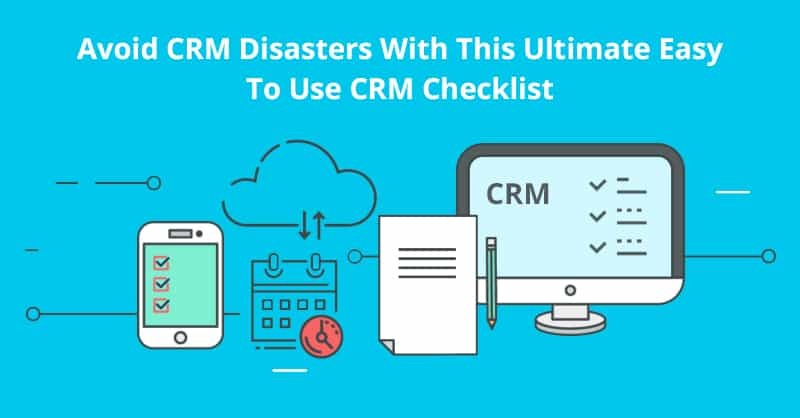 Therefore, start rolling out the new features in your just purchased CRM system that makes it easier and more satisfying for your employees to do their jobs. Replace gruesome, routine tasks and manual workarounds with system automation and you can be sure your employees will start using the new software more quickly. Many easy to use CRM systems like ConvergeHub also includes a series of integrations , so that your old business software solutions like Gmail, DocuSign, MailChimp, DropBox, Ring Central, and others can seamlessly connect to the new system, which makes it easier to work for your staffs, making the CRM implementation more successful for your company. Finally, CRM is not just a tool but also a business strategy, and so like any other business strategy to work, everyone in your organization has to follow a singular goal. Per se, executives in your company and the users of the easy to use CRM software must willingly remain on board to learn and use the new customer relationship management software. This factor in successful CRM implementation is absolutely necessary as it helps in creating a lot of less friction if everyone in an organization agrees to use the new CRM software in the first place. Now that you are aware of what not to do, let us make your easy to use CRM implementation a success, as here at ConvergeHub, we have mined and worked with myriads of inquiries, customer data, and surveys to offer you with the most comprehensive Converged CRM system, and the CRM requirement checklist. This is because of the fact- we are aware that the devil lurks in the details of implementation of the easy to use CRM software platform.